To celebrate National Hamburger Month, Schweid & Sons proudly brings you the 4th Annual NY Burger Week, May 1-7, 2015. This one came out of nowhere. Genuine Superette just recently opened this new location. They make one of the best Burgers in the city and very much wanted to host a NY Burger Week event. We had kicked around several ideas but due to some delays in opening and the lack of a lot of space in which to have an event, we were coming up short on ideas. The night before they opened to the public Genuine Superette had a friends and family event that several of us attended. During that event, the kitchen sent out mini-versions of their regular menu items like the Super Duper Stack Burger and Spicy Smokehouse for guests to try. While talking to Ammar from Burgerator, Matt from Joios and a couple people from AvroKo we came up with the idea while sampling Burgers … let’s have a menu sampling! But not just any old sampling. We wanted to get crazy, quirky and weird. Chef Brad Farmerie came up with the idea to play a game of guess the meat and the rest just fell into place. Brought to you by Burgerator & Joios! GENUINE Superette (191 Grand St) will host a Burger tasting that will blind you with awesomeness on Tuesday, May 5th for the 4th annual NY Burger Week. We’ll team up with Burgerator, an app that helps you find, rate & share the best Burgers, to host the ultimate blind taste testing. You’ll be served 3 mini Burgers, 1 of which is on the menu at GENUINE Superette and the other 2 will be off-menu creations by Chef Brad Farmerie. But there’s a twist … you’ll taste the Burgers while blindfolded! But wait, there’s another twist … one of the Burgers will be made with commodity ground beef, one will be made with Schweid & Sons One-Percenter which is Certified Angus Beef® USDA Prime chuck, which is the GENUINE Superette house blend. The last of the 3 Burgers will be a special surprise creation using a special secret blend of Schweid & Sons ground beef. Guess which Burgers were made with which beef correctly & be entered into a drawing to have the surprise Burger named after you when it is added to the GENUINE Superette menu! Spicy Smoke House – Burger topped with Bacon, Gouda, Charred Jalapeño Mayo, Chipotle BBQ Sauce on a Martin’s Potato Roll. Super Duper Stack Burger – Burger topped with House Sauce, American Cheese, Sweet Pickles on a Martin’s Potato Roll. Surprise Burger – Burger topped with Charred Jalapeño Mayo, Cotija Cheese, Pickled Jalapeño on a Martin’s Potato Roll. Once you’ve eaten all 3 Burgers, you’ll remove the blindfold and enjoy some French Fries and a beer, while you rate your favorite of the 3 on Burgerator. We will also be joined by Joios, a collaborative food & drink community, created to sort through abundant options and discover great flavor. They gather ratings at tasting events that are both serious and fun, linking eager consumers to less-known producers. You’ll taste and rate the night’s experience with Joios. Matt from Joios explains to the crowd how they will rate the Burgers and help provide the restaurant with valuable feedback. Ammar tells everyone about the history of Burgerator and talks them through how to rate the Burgers they are about to eat. Let the bling Burger tasting Begin! Congrats to Andy Z! He correctly guessed which Burger was made with which beef and ultimately was picked as the night’s winner. His prize: he got to name the specialty Burger that will eventually be on the Genuine Superette menu for a limited time. Meet the “Ch-Ch-Ch-Chon!” Burger – Burger topped with Charred Jalapeño Mayo, Cotija Cheese, Pickled Jalapeño on a Martin’s Potato Roll. Thank you to everyone who attend the event and were willing to eat food from complete strangers while being blindfolded. It was hilarious to watch everyone done the blindfolds each time a Burger was served. Everyone else that was dining at Genuine Superette at the time was quite puzzled and very curious. You are all amazing sports and we hope you had a blast. The staff at Genuine Roadside run an impeccable ship, especially Chef Nicole. To be able to execute and event like this without interrupting service for regular customers takes a well oiled machine and a great Captain. Thank you to everyone at AvroKo for being so creative, so willing and so on top of details. You made this one of the most fun events NY Burger Week has ever seen. This event would not have been possible without the help of three serious Burger fanatics: Matt from Joios and Ammar and Carey from Burgerator. 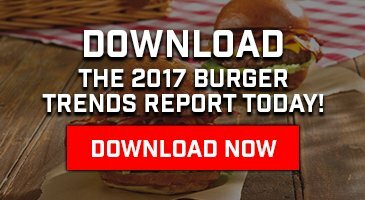 You are part of the fabric that makes New York City a great place to be a Burger fan.